2.8mm focal length. 110º wide angle lens. 1920×1080 (1080p) full HD video. 8x digital zoom. Night vision up to 30 feet. Wyze Cam v2 delivers clear, crisp live stream footage to your smartphone, day or night, so you can see every detail, even at 8x digital zoom. Wyze Cam v2 works with Alexa. 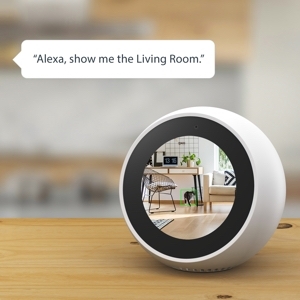 Control Wyze Cam v2 with your voice by saying, "Alexa, show me the Living Room" to view a live stream from your camera. Wyze Cam v2 can automatically record a 10-15 second alert video when it detects motion or sound. Videos are securely uploaded to the Amazon AWS Cloud via end-to-end encryption and are accessible for 14 days – no subscription plan required. 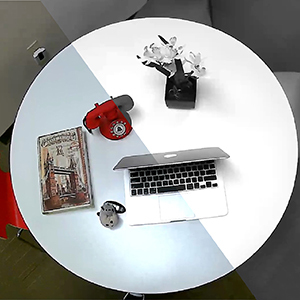 With its small size, magnetic base, included adhesive metal plate, and flexible 3-axis design, the Wyze Cam v2 can go anywhere you need it - no screws required. 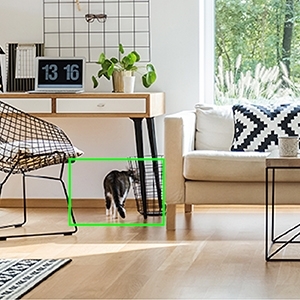 Wyze Cam v2’s Motion Tagging technology detects and highlights motion, making it easier to identify moving objects.